Risk practitioners seek inspiration from many different places, but not many look to the world of professional dancing to improve their leadership effectiveness. An innovative workshop has recently been developed by LeaderTango, which uses the Argentine tango as a metaphor for the leadership strengths and skills needed to succeed in today's business world. When two dancers perform the Argentine tango, it is an intense and passionate event. They are completely focused on each other, fusing their movements into a complex unity that tells a powerful story. One of the dancers takes the lead, with the other following closely. Trust. The two dancers must trust each other completely as they perform, with each one relying on the other to move in the right way at the right time, providing support where necessary. Agility. 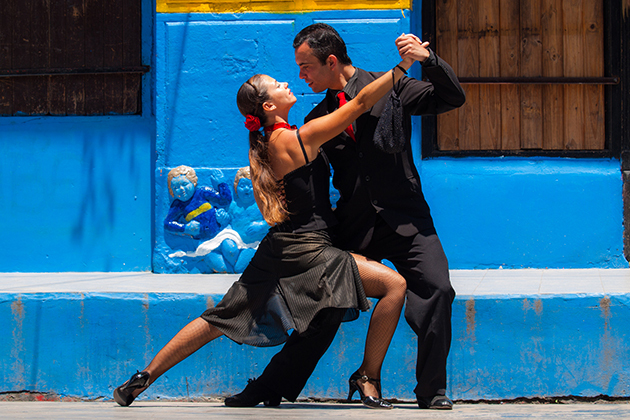 The Argentine tango involves fast moves, rapid changes of direction and a complex series of steps, kicks and turns. These are not possible unless both dancers are highly agile. Naturalness. Although the dance is complex, when it is done well it seems simple and natural, with two people moving seamlessly in synchrony, telling a story of love and passion. Guidance. The dance relies on understanding which partner is leading, with the other following closely to create perfect harmony between the two. Ownership. Dancers show complete commitment to the dance, putting themselves wholeheartedly into each move, expressing a deep connection with each other and the dance. These concepts can be applied to improve leadership in many different situations, including risk leaders who need to steer others towards more effective risk management. Each dancer in the Argentine tango must trust the other completely, and this is particularly important for the follower. Risk leaders must also be trusted if they are to engage stakeholders in the risk process. This is because risk practitioners provide advice on the level of risk exposure and the nature of appropriate actions. If the risk leader is not trusted, then their advice will be questioned or even ignored, leading to unmanaged risks, with threats turning into avoidable problems, and lost benefits that could have been captured from opportunities. The Argentine tango has a basic sequence of steps, but the dance is completely improvised, combining various elements spontaneously, as determined by the leader. The same is true of risk management. While there are many proven techniques and tools, there is no one-size-fits-all methodology. Risk leaders must be able to combine the elements of risk management into a cohesive approach that meets the risk challenge. This demands agility and the ability to improvise, both on the part of the risk leader and also the organization, as they move together to address risk. The tango embrace between dancers is not rigid, but relaxed, like a hug. In the same way, risk leaders are able to engage their stakeholders in a way that feels natural and normal, without being too formal or bureaucratic. We may not actually hug our colleagues, but they should feel that risk leaders are caring professionals who want to help them achieve their goals. A good tango dancer is one who transmits a feeling of the music to the partner, leading them effectively throughout the dance. In the same way, the risk leader communicates clearly to all stakeholders about recurrent themes that indicate areas of particular exposure and changes in the context or sources of risk. This allows all parties to move together to address risk effectively, with a shared understanding of the risk challenge. It is not possible to dance Argentine tango in a detached way. Dancers are closely connected through the embrace, and each is fully committed to the dance. Risk leaders must also take care not to become detached, but they should demonstrate ownership of the risk process. In the same way, other stakeholders need to own risks and responses, and be committed to manage them effectively. By embodying and practicing these five qualities, risk leaders will maximize their ability to lead others into effective management of risk. They may also improve their dancing skills (not guaranteed). Dr. David Hillson is The Risk Doctor, an international risk management consultant and director of Risk Doctor & Partners. A 25-year veteran who has worked in more than 40 countries and published eight major books and more than 100 journal papers and articles on risk, he is recognized globally as a leading thinker and expert practitioner in risk management.